For the first time in more than four years, new aircraft have emerged from the former Eclipse Aviation final-assembly facility in Albuquerque, N.M. Two unfinished airframes left on the assembly line when that company declared bankruptcy in November 2008 were recently completed by the resurrected company, Eclipse Aerospace, and outfitted as factory-new Total Eclipse twinjets. Until now, Eclipse Aerospace’s Total Eclipse airplanes were pre-owned airframes delivered by the old company and later refurbished by Eclipse Aerospace. For the first time in more than four years, new aircraft have emerged from the former Eclipse Aviation final assembly facility in Albuquerque, N.M.–in this case two Total Eclipse twinjets. These aircraft will soon be followed by new Eclipse 550s, which will start rolling off the line in mid-2013. 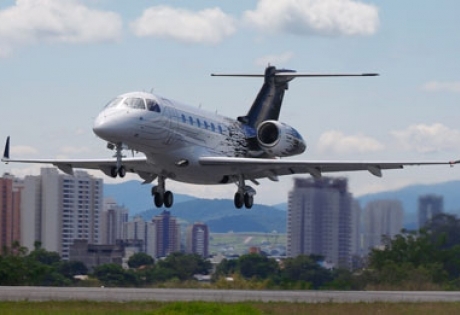 Both of the new aircraft–S/Ns 261 and 262–are available for delivery next month equipped with new Pratt & Whitney Canada PW610F turbofans, known-icing certification and the Avio IFMS avionics suite, according to the company. The aircraft will also feature discounted pricing on an optional upgrade package that, upon FAA certification, will include synthetic- and enhanced-vision capabilities, as well as autothrottles. A company spokesman told AIN the aircraft are the first two examples to pass down Eclipse Aerospace’s retooled production line for the upcoming Eclipse 550, which will be the first aircraft completely produced by the company. 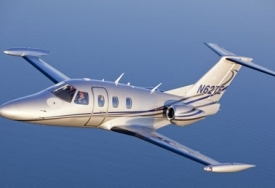 Eclipse 550 deliveries are expected to begin in the middle of next year.